Last week, we started looking at recent Star Trek news, so now we continue…. As for the small screen, we’ve seen a few news updates about season 2 of “Star Trek: Discovery”. For example, we know that Anson Mount will portray the Enterprise’s ‘Capt. Christopher Pike’, who then takes command of Discovery for their next big mission. I wasn’t impressed with him in Marvel’s “Inhumans” mini-series, but my initial impression from the Season 2 trailer is that he’ll do a good job. (Plus, it helps that Mount is a huge fan of TOS, so he has respect for the legacy.) I just hope they don’t write the character as too… jokey. Oh, also, Rebecca Romijn has been cast as ‘Number One’, and I can certainly see her in the role. That makes total sense to me. For example, as we saw in “The Cage” / “The Menagerie”, Spock was a bit less… emotionally disciplined at that time. I am intrigued and so will withhold judgment, but I look forward to seeing how they do this. (Especially since Spock is currently only scheduled to appear in two episodes. Maybe some will be done with flashbacks of younger versions?) 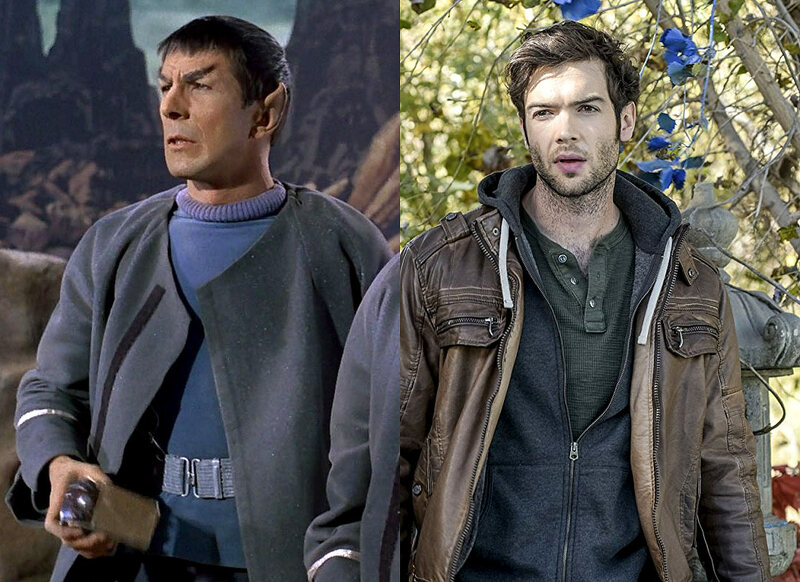 I see that they also just cast Gregory Peck’s grandson, Ethan Peck (The Sorcerer’s Apprentice), as Spock. He looks like a decent choice physically, but I’ve never seen him in anything and can’t give any opinion on his acting. This is actually in line with my thoughts. In my review of Season 1, I suggested that one way to resolve the Klingon issue was: “Perhaps the Klingon houses we’ve seen represented are one Klingon race, while the STIII/TNG version make up the other houses. Wipe out the former, and the latter can take over.” Sounds like I was on the right track with that one…. Finally, there is the return of Jean-Luc Picard to the prime(?) Star Trek universe. As you may be aware, Kurtzman and his Secret Hideout production company were awarded a 5-year, multi-million dollar deal with CBS TV Studios back in June. Part of Kurtzman’s focus will be to “oversee the development of new Star Trek series, mini-series and other content, including animation.” Since then (and even before), there have been rumors of spinoffs focusing on Captain/Emperor Georgiou, Captain Lorca, Harry Mudd, Khan Noonien Singh, the Vulcans, Starfleet Academy, et al. Perhaps most intriguing was the possibility of bringing Jean-Luc Picard back — with Patrick Stewart returning to the role, of course. Early reports were that fans would “see Stewart return to Starfleet as Captain Picard…. The report also refers to the project as a ‘reboot,’ leaving it unclear as to whether this project could be a reboot – more likely a continuation – of ‘Star Trek: The Next Generation’.” But, that was rather early in the development, and Stewart hadn’t even officially signed on, yet. Earlier this month (Aug. 2018), though, CBS announced (via Stewart at the 2018 Star Trek Convention in Las Vegas) that a Picard-based show starring Patrick Stewart, who will also exec produce along with Kurtzman, is now official. 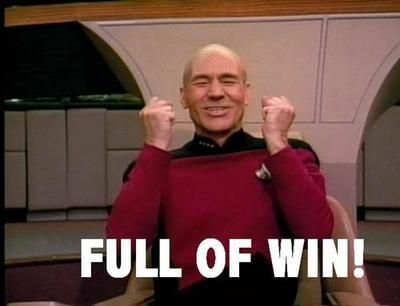 One idea I’ve heard tossed around would be to have Picard in charge of Starfleet Academy. Not a bad idea for the character, I suppose, but not if we want to see a Picard-centered series. An academy-based series will likely focus on students. (I hope it isn’t too teen-angsty.) I’ve often thought that Picard might return to his archaeological interests and spend his later years on one or more digs. This could have potential for a series, but nothing I’ve read makes me think they’re considering this. (Otoh, who knows?) I think it is most likely that they will bring Picard back as either an Admiral or an Ambassador, both of which take advantage of his strengths in diplomacy and leadership. Of course, they may need to coax him out of retirement first. Given a compelling storyline, I’m definitely up for that. The only thing that concerns me at this point is the rumors that CBS/Kurtzman want to wipe out the Prime timeline and merge the Kelvin timeline with the DISC timeline. Depending on how/when they would do it, it could allow for an “alternate” version of Picard (among many other things), too, and I don’t think the fans (including myself) want that. (Remember that mention of ‘reboot’ in the early discussion of a Picard series?) I don’t know how much validity there is to this rumor, though, so I’ll set it aside for now. CBS TV Studios president David Stapf has stated that they want year-round Trek content on CBS All Access. DISC’s second season won’t debut until January 2019, and Picard’s so-far-untitled series is tentatively due in late 2019. So, while we wait for them and the (up to four) additional series being developed, they have something else to tide fans over. Picard needs to be in the “Prime” universe. I’d like to see the series as him as admiral commanding incursions into Borg territory. The Klingon thing doesn’t really bother me. Any number of explanations would work.